To meet your nutritional needs, the USDA recommends two to three daily servings of dairy products. 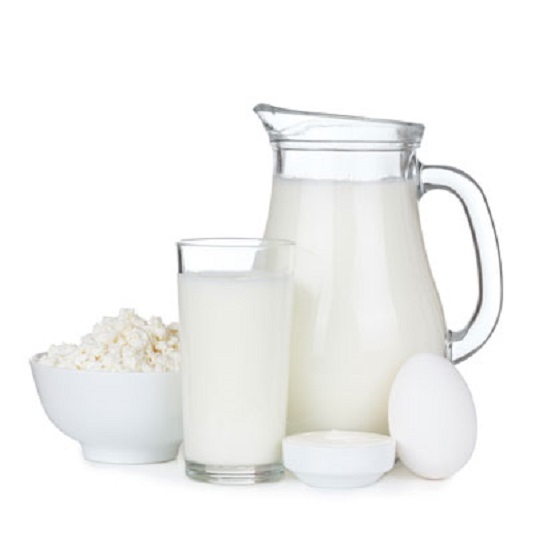 Including dairy foods in your diet provides you with protein and calcium and contributes vitamins A and D. The Milk, Yogurt, and Cheese group shares the third tier of the Food Pyramid with the Meat, Poultry, Fish, Dry Beans, Eggs, and Nuts group. Dairy foods can be very high in fat, so reach for fat-free, low-fat, part-skim, or reduced-fat cheeses, ice cream, frozen yogurt, ice milk, and fluid milk products when you’re watching your weight. If dairy products aren’t your cup of tea, so to speak, make sure you’re getting enough calcium by eating more dark leafy greens. A supplement may also add to your daily requirement. Recent evidence shows that dairy products can actually help you lose weight. There have been many studies that prove it. One intriguing body of work done at the University of Tennessee and published in the medical journal Lipids in February 2002 concluded that increasing dietary sources of calcium, especially from dairy products, reduced body fat even without calorie restriction and accelerated weight loss when calories were cut. If you’re lactose intolerant and can’t eat dairy products without becoming ill, consider milk that has been treated to reduce the amount of lactose in it. You can find several brands on the market that are worth a try.